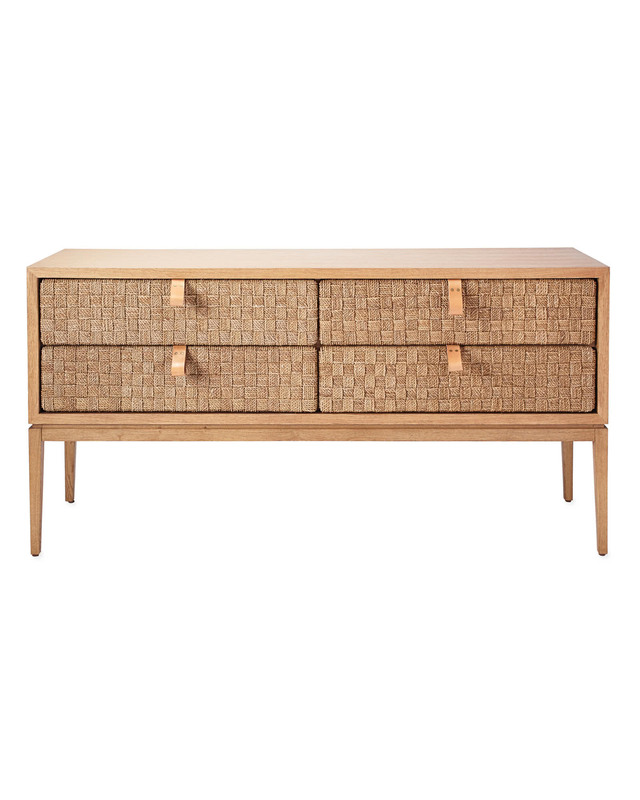 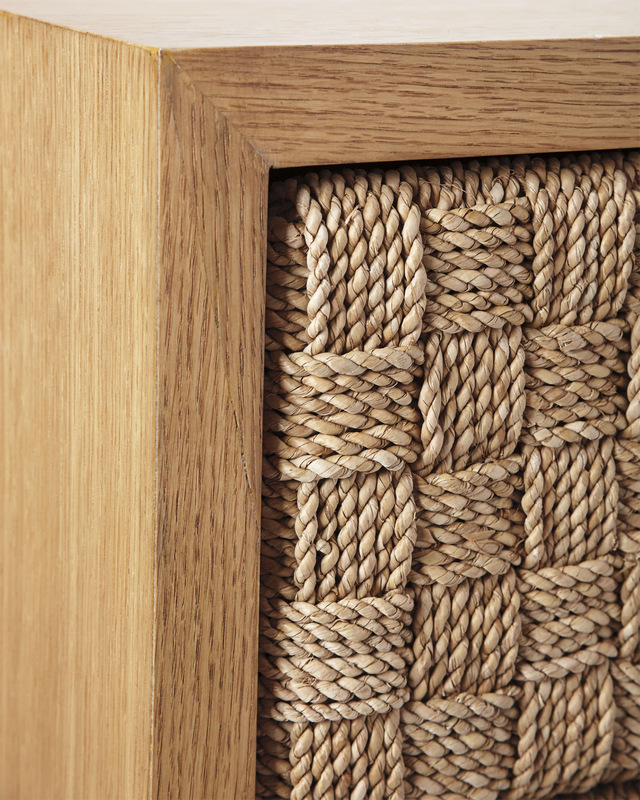 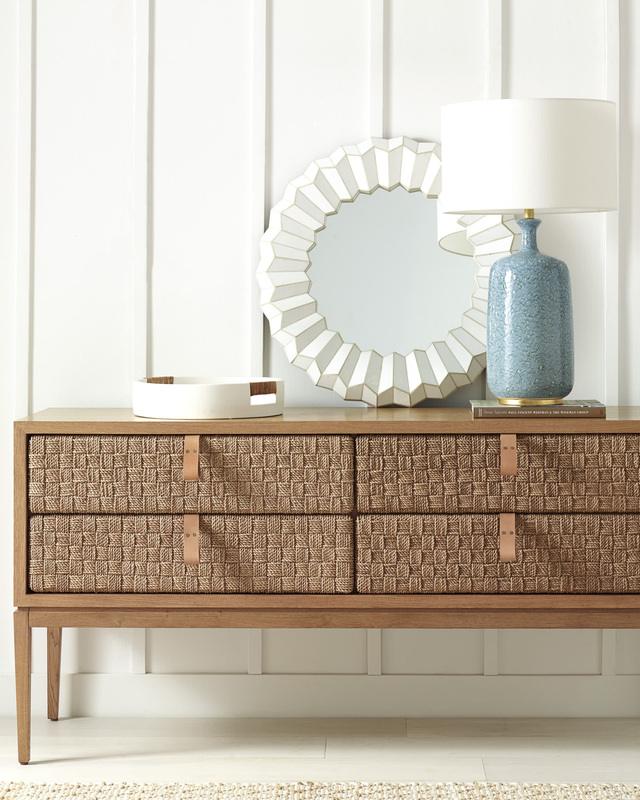 Caledonia Woven ConsoleCaledonia Woven Console, alt="Caledonia Woven Console, "
Print A material mix that hits every note just right, from the coastal (and unexpected) spirit of the seagrass drawers to the minimal oak frame and leather pulls. 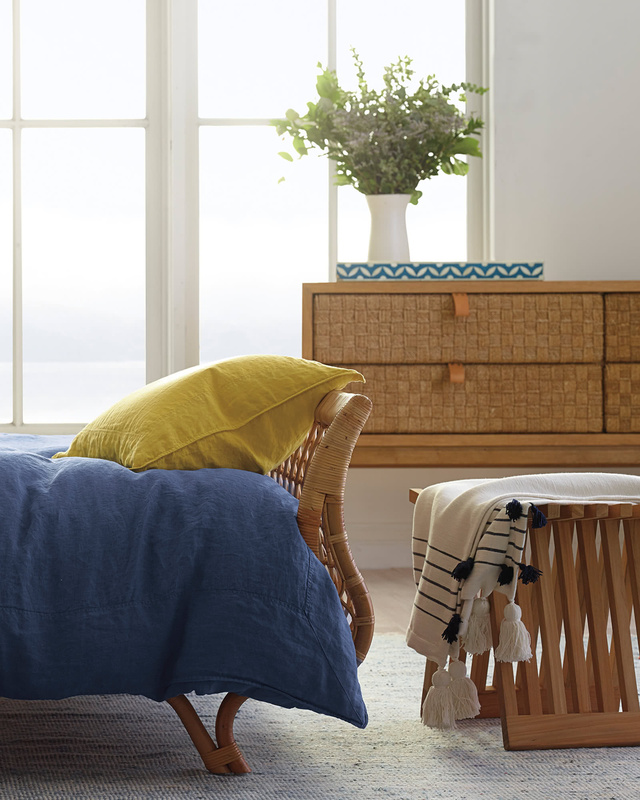 As practical as it is pretty, we wager there’s more than one room in the house where this would feel right at home. 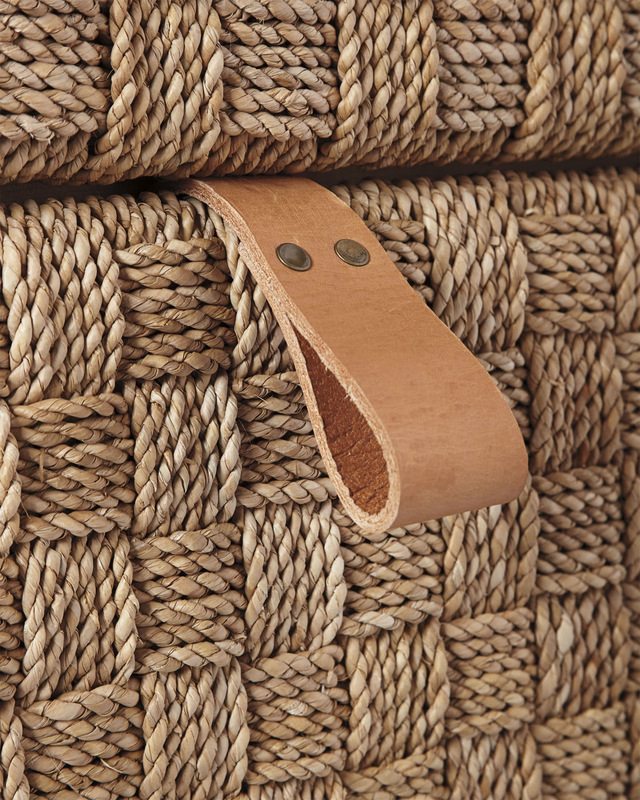 Handwoven seagrass drawers with leather pulls. 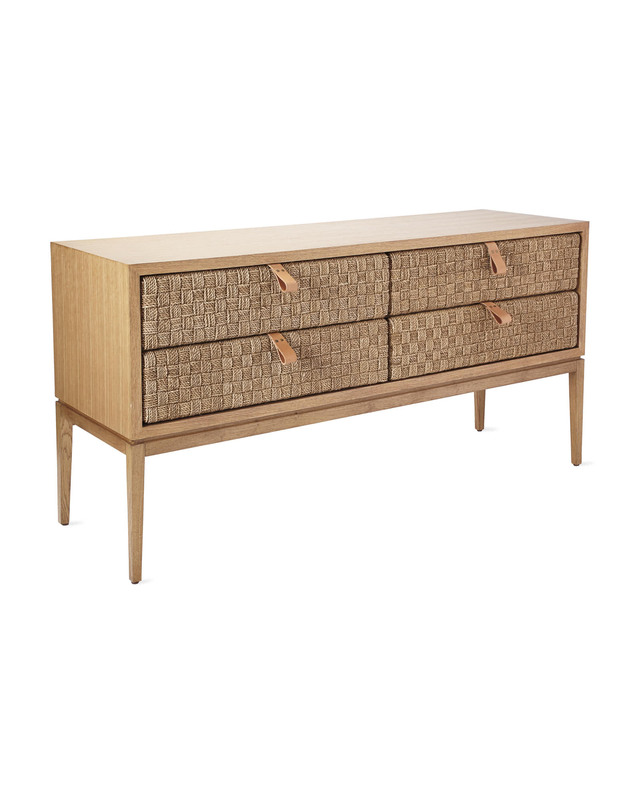 68"W x 21"D x 34"H overall. 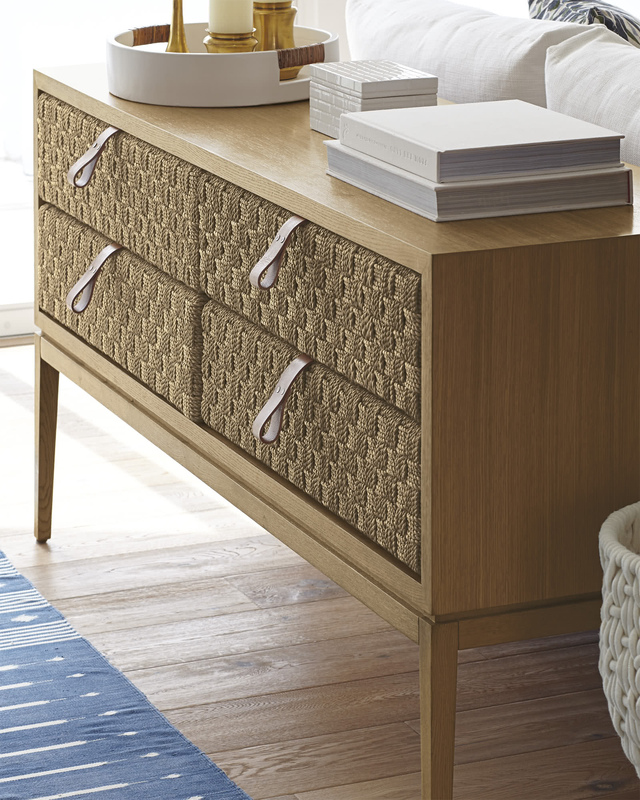 Drawer interior: 30”W x 16.5”D x 6”H.